X18000 - Buy , , Product on Ningbo Zhonghuang Machine & Electrics Co.,Ltd. 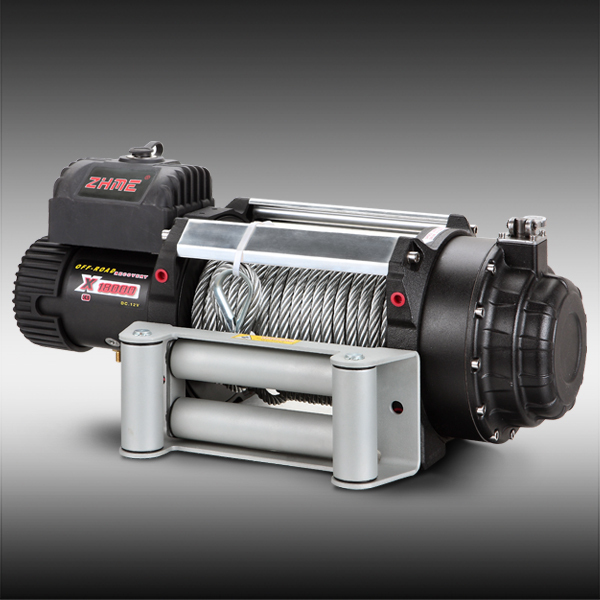 Popular series winches with superior performance and Classic design. 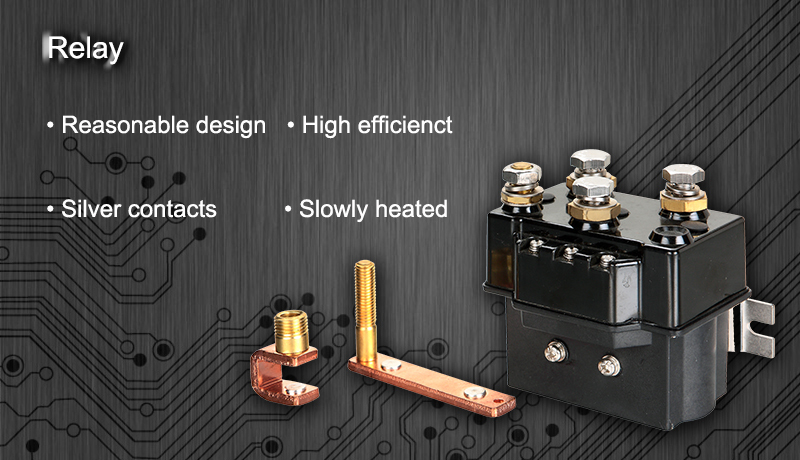 All sealed and series wound motor provides powerful pulling and fast line speed. Heat sink cover instead of traditional one which is of heat faster. 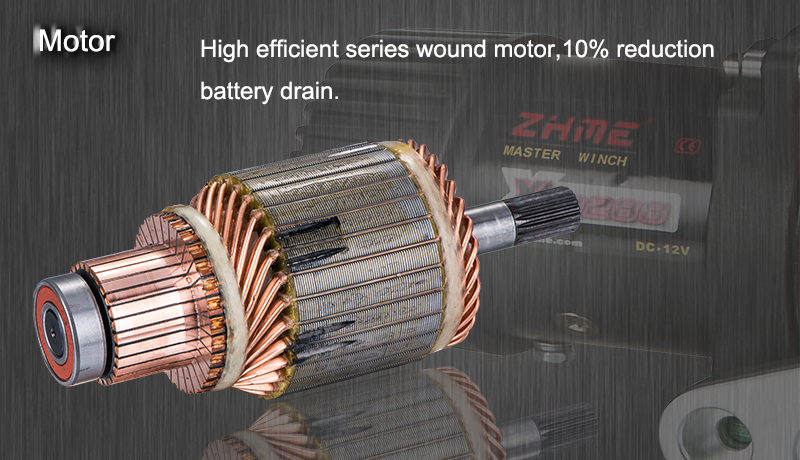 ZHME patented oil seals with double lips fixed on drum supports for waterproof. Quenching treatment makes the drum much harder. Die – casting aluminum gear box cover, strong enough to protect gears. 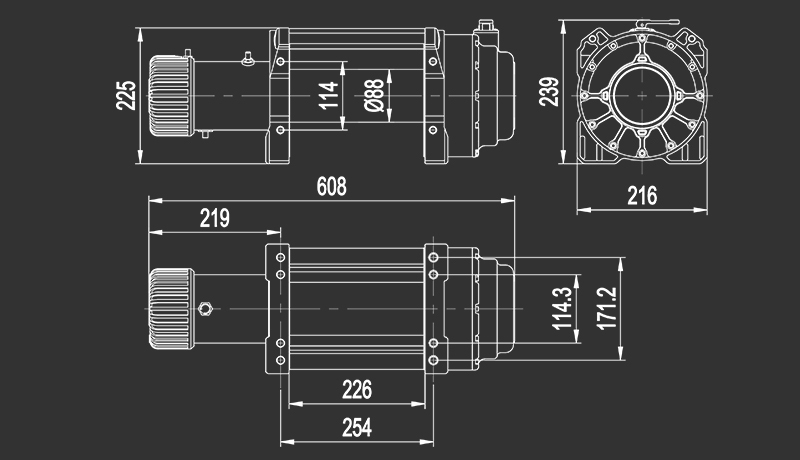 Revolutionary 3-stage Planetary Gear System for ultimate strength and quiet operation. Different gear ratio for options.